The PRO380 CT series is a range of 4 module, three phase CT smart Energy Meters consisting of 3 different types each with their specific characteristics. They have an exceptional combination of a high accuracy class (1/B) and a broad temperature range of -25°C…+45°C. 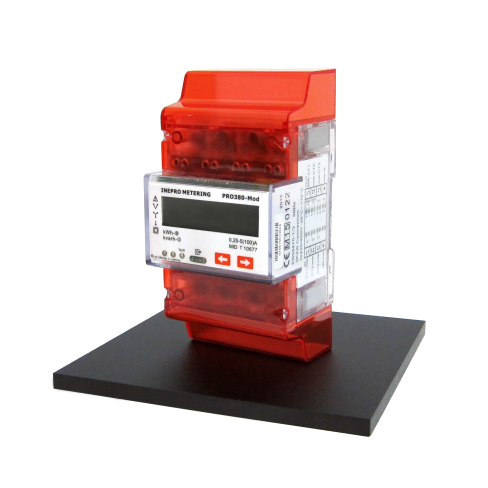 The PRO380 series is available as a standard version (with a selectable S0 output) and also as a Modbus or M-bus version. It can communicate and be programmed via an infra-red input. 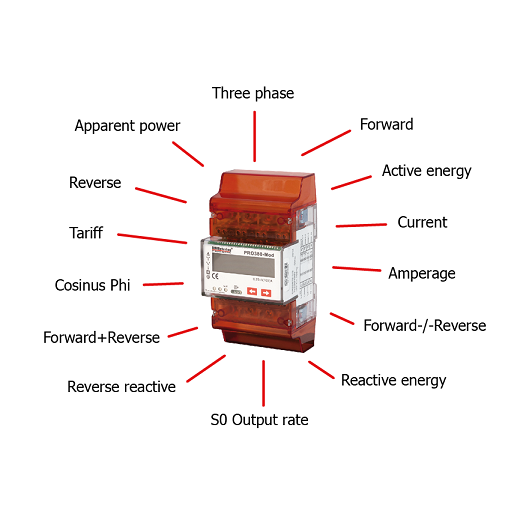 The different communication modes have over 60 variables like kWh, active and reactive energy, forward and reverse energy as well as Cos phi. The PRO380 smart energy meter is equipped with a resettable day counter and the total energy usage can be calculated via 5 different modes. You can program the CT ratio at your convenience. All PRO380-series meters are capable to be read out and configured by IR. 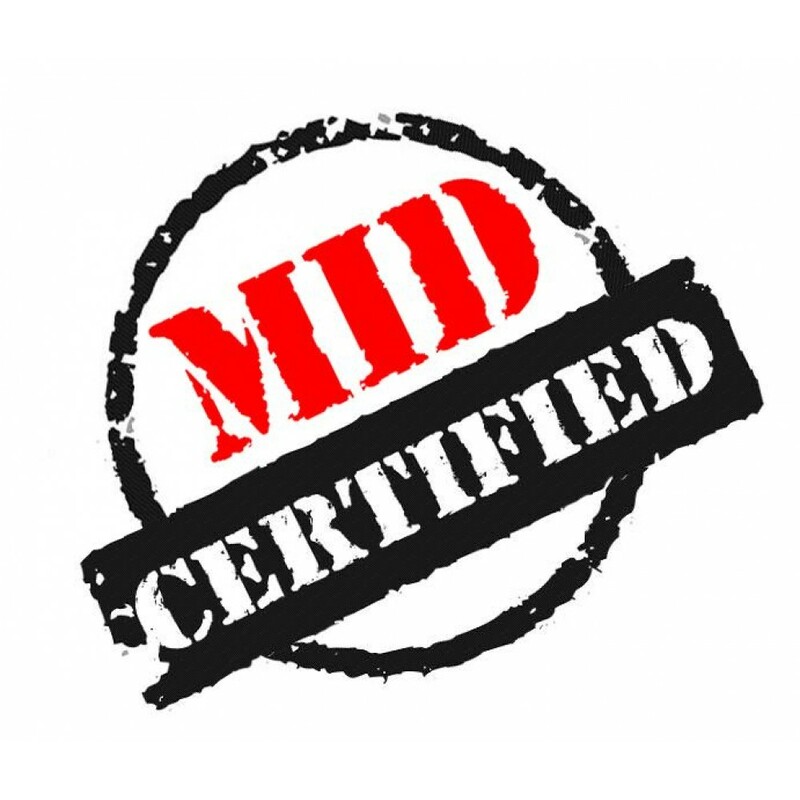 The standard used is IRDA (IEC62056-21:2002 (IEC1107)).